I have a new kit available in all my stores. 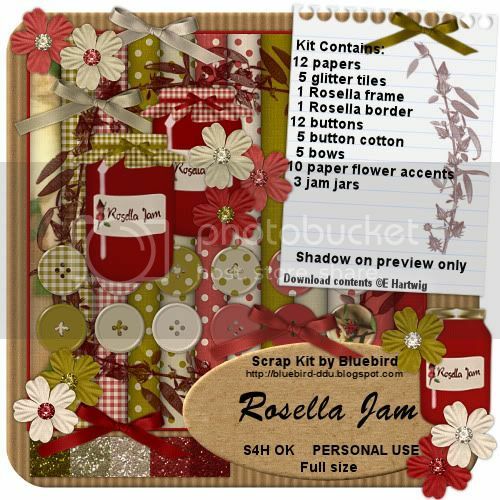 Based on the colours of the Rosella bush with a border and frame in a sepia toned calligraphy finish plus some country style buttons and jars. Full Size CU kit with papers 3600 x 3600 pixels, 300 ppi. S4H friendly. Taggers sized kit also available with papers 600 x 600 pixels and 72 ppi.